The Amy Face: Do Work, son! 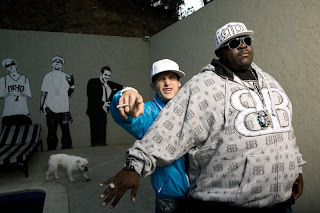 My absolute favorite show on television is actually not The Hills, it's Rob & Big. The show is so hilarious! Even though I get to work with cool clients all the time, I totally totally freaked out when I got the call to shoot with Rob & Big for Complex Magazine. The guys were so nice. I got to go to the house, meet the dog and the mini horse. It was so much fun.